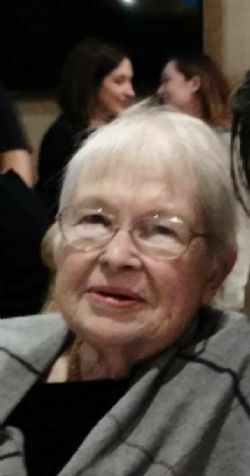 Heloise R. Murray, 87, of Lake Jackson, Texas passed away Friday, Feb. 1, 2019. She was born July 24, 1931 in Delcambre, L.A., to Felix Ambrose and Neda Sonnier Rodriguez. She was preceded in death by her husband Charles L. ( Catfish) Murray. The family will receive friends 6pm until 7pm Rosary Monday, Feb. 4, 2019 at St. Michael’s Catholic Church. Survived by her children, Charles L Murray III, Veve Murray, Paul Murray (Dena Pate), Anita Murray, Mary Rawls, and Gina Murray. Grand Children, Stacey Comer, Erian Goodson, Brooke Mcgehee, Kourtni Morrow (David Morrow), Chase Murray (Marisol Martinez), Waco Stone, Jimmie Lynn Murray, Alex Rawls and Davis Rawls. Great grandchildren, Cole Comer, Owen Comer, Bailey Morrow, Reid Stone, Kaydence Malone, Genesis Murray, Jacelli Murray and Charles Murray. The funeral mass will be 11am Tuesday, Feb. 5, 2019 at St. Michael’s Catholic Church in Lake Jackson, Texas. Interment will follow at 1pm Restwood Cemetery.